This exceptional Nabucco piece is perfect for those who want to stay in control of their time. The automatic movement offers a 46-hour power reserve as well as a chronograph. The 46mm case combines stainless steel and titanium and beautifully sits on a rubber strap. A date window is situated between 4 and 5 o'clock. 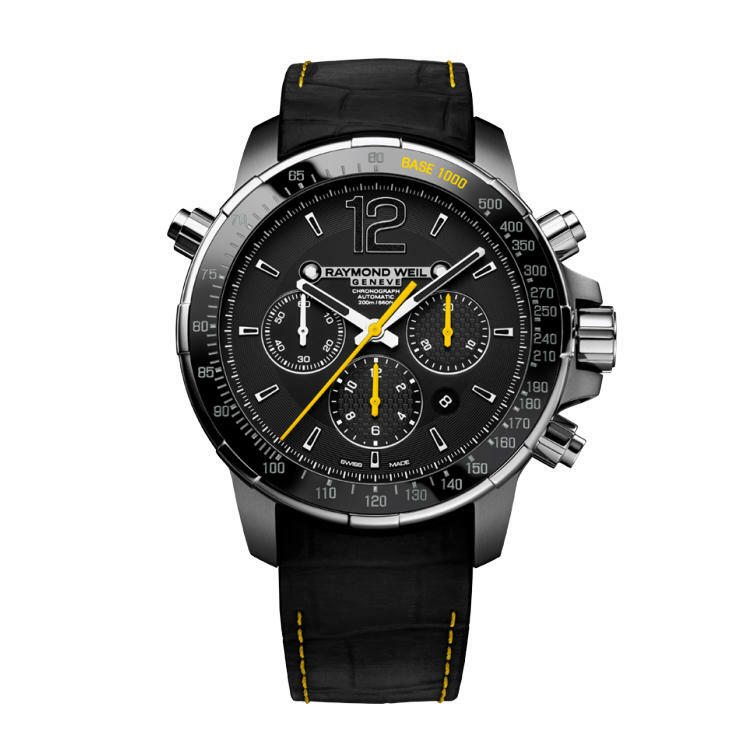 The sporty allure of this timepiece is enhanced by the tachometer on the black ceramic bezel.